Combining different fonts in a pleasing and harmonious way is a challenging aspect of producing good typography. A lot of it has to do with good taste: When you actually see the fonts in action, you will instinctively know whether or not they work well together. There are many sites you can visit to get ideas and inspiration for good font combinations. Here are a few of them. 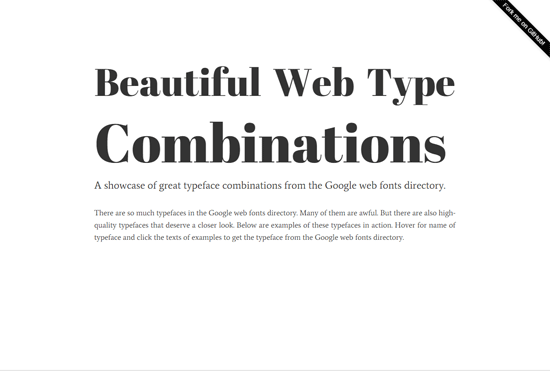 An open source project, Beautiful Web Type Combinations is a one-page showcase of great Google Fonts pairings. This open source project is another showcase of beautiful Google Fonts combinations. Discover.typography will provide you with a great deal of ideas for putting together solid font combinations. 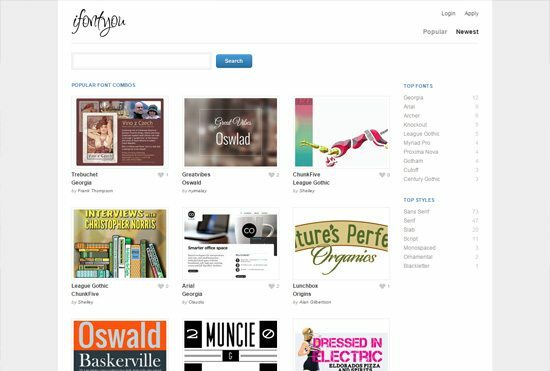 Click on a design you like to find a listing of fonts being used within it. I Font You is a gallery of designs which aims to help people find great font combinations. 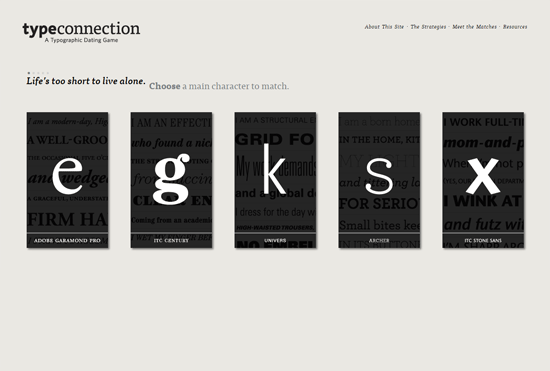 Type Connection is a game that will teach you how to construct good font combinations. 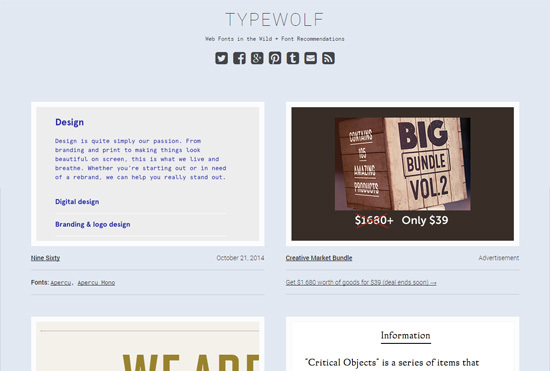 This site embraces four principles of pairing typefaces. 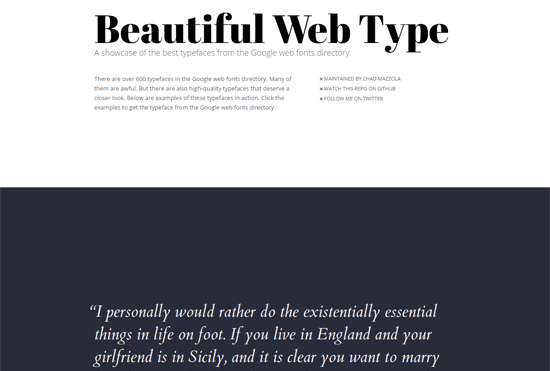 Beautiful Web Type is yet another showcase of fonts found on Google Fonts. 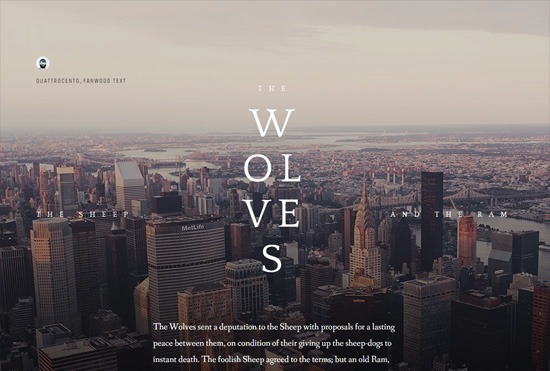 Typewolf is an online gallery that exhibits great typography found around the Web. 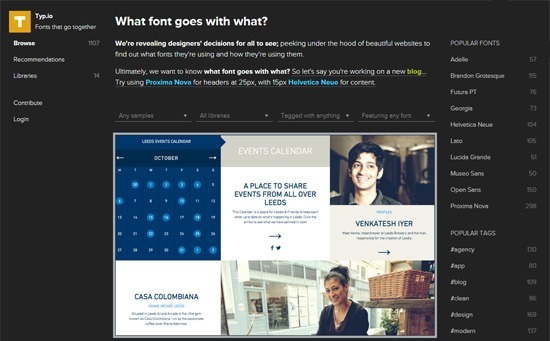 On this site, each featured design comes with a list of fonts being used. 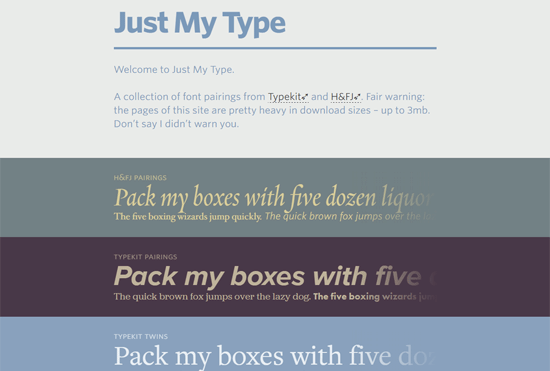 Just My Type is an assembly of well-matched combinations of fonts from a couple of popular Web font subscription services (Typekit and Cloud.typography). 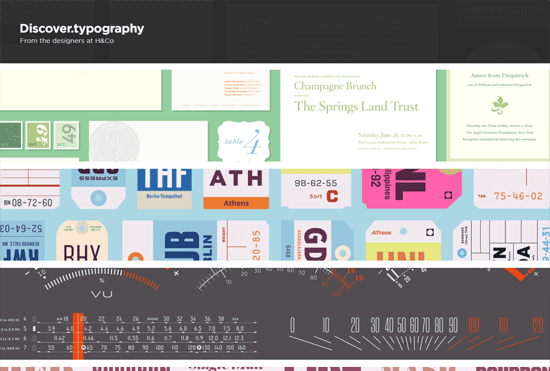 This site is a huge gallery of over 4,000 typography-centered designs. A list of fonts for each featured piece is provided, which can give you insights towards building good font combinations. Here are some good guides and tutorials to read if you would like to learn how to pair fonts well.